The success of an event is the combination of a number of factors, the content, what you say, how you say it, audience engagement and speaker line up are key but also finding the right environment to deliver your messages brings the whole event together. So many venues on paper seem perfect but in reality, they can make or break an event. There are many factors to consider, the first is to find a venue which matches your organisation, your objectives, your messaging. 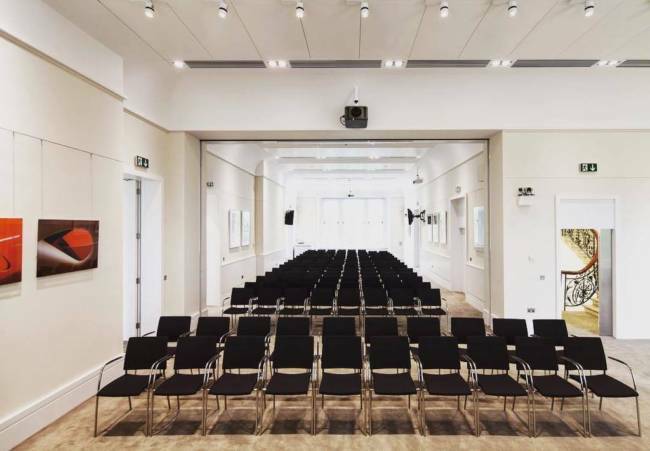 Are you looking for a traditional venue which offers a calm relaxed environment steeped in history where delegates will feel a world apart from their everyday life or are you looking for a modern, cutting-edge venue which will match your fast paced, forward thinking presentations? The environment is key and the questions your Event planner asks you is key. Shortlisting venues based on your criteria only and then visiting them all helps to focus on what you do and don’t want. Where are your delegates travelling from, are they flying in, coming by train or driving? Think about the accessibility of the venue in relation to this. Will they need to stay overnight if travelling from afar? If so, does the venue have accommodation or accommodation close by? Ensuring your delegates arrive in the right frame of mind, fresh and ready to absorb the content will give you a greater return on investment. Consider the audience, the event you are putting on and what they are expecting to hear and see. Is this a journey for your company, your product, your messaging? Are you innovative, forward-thinking, technology-enabled or celebrating success, your organisation’s heritage? Choosing venues which compliment your company personality, brand standards and will enhance your messaging is key. How many delegates will attend and what are their needs? Do you need one large wow room or an intimate main event room for group discussion with a number of side breakout rooms? The size of the room also needs to reflect the number of people attending. A room that is too big will mean delegates are less engaged with the speakers and if too small, attendees will feel crowded and more likely to disengage. If the food is great, the event is great! It shouldn’t always be the main focus, but quite often it is. Events are often intense with lots of concentration and networking required. If you fuel your attendees with great quality healthy food throughout the events, you will keep their attention. Talk to the venues about food options for your coffee breaks and mail meal times. If you need to get everyone networking at lunchtime, why not try a standing bowl food concept lunch. Catering to allergies and dietary preferences is also now the norm. In today’s society technology is key and that’s also true for events. Think about how you are delivering your messages, are you live streaming or connecting to overseas offices. Make sure you understand the venue’s capacity and bandwidth. Can they give you examples of any previous experience they have had? It is crucial the technology being used can be supported by the venue from a technical stance. Nothing worse than the main speaker’s slot been sabotaged by a flickering screen or that your attendees can’t connect to the wifi or get a phone signal for the time they are there. A client of ours wanted to run an Away Day event in a central location with good transport links, that could take them from meeting through to dinner, was an interesting building and aligned with their industry and business. We suggested a number of locations on or near Pall Mall in London, each venue had a great reputation both within the industry and with ourselves as we had worked with them before. 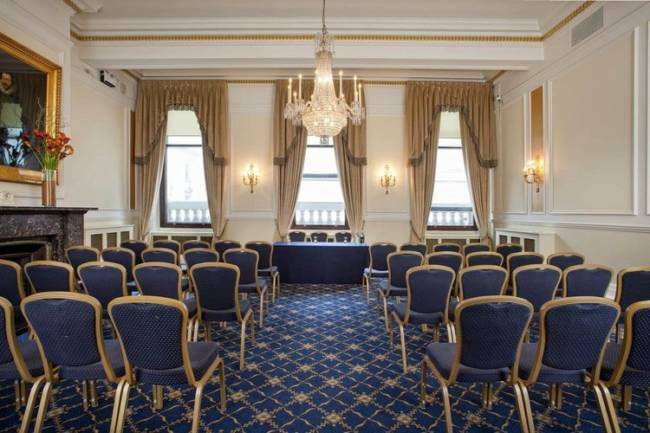 Venue 1 The Institute of Directors, the Trafalgar Rooms. This was a smart, historical, traditional venue, with big sweeping staircases, ornate chandeliers and large antique paintings adorning the walls. The meetings rooms have a sense of grandeur and the whole venue feels calm and special. Venue 2: Prince Philip House. Another large traditional building but this time with a very modern and contemporary twist. Whitewashed walls, contemporary art pieces and meeting rooms which are light, bright, airy and inspiring. The artwork throughout showcased innovation as did the built-in technology in the meeting rooms. A great combination of old meets new! Both venues have superb catering facilities, can deliver many types of cuisine to suit all tastes so it really comes down to what sort of environment the client wants to be in, what feel should the event have and what is the right impression to give to the audience? We know which venue she will choose (we have lots of experience in this!!!) but we will await her instructions!